Watches OpenCart Theme / Watches OpenCart Template: Civic is a responsive OpenCart template designed for stores, shops and businesses selling watches, classic designer watches, luxury watches and other related products. It is packed with the best-in-class features as well as a suite of powerful extension that is offered free. 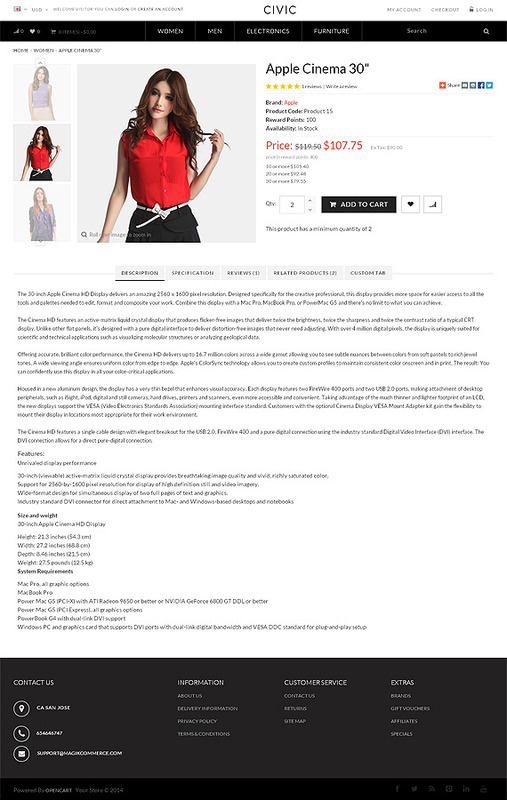 This is speed and SEO-optimized Watches OpenCart template. on all types of devices including smart phones and tablets. used without any distortion of any of the theme elements. may want in your Opencart store site. look and what they have on them. You have to try it to believe it. 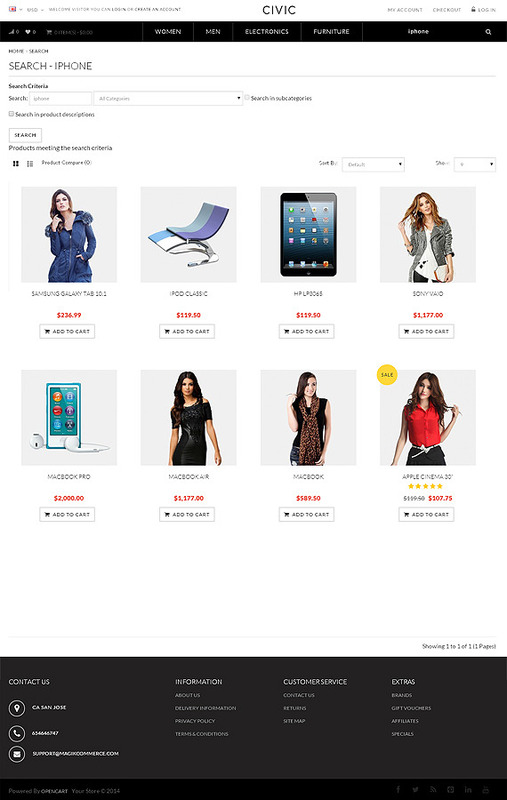 This Opencart theme has a instant color configuration that you can use to change the color of your theme. that you can enable if you’d like. Quickly create the Featured and Bestsellers lists that attract and engage your visitors and drive transactions. Grow your list and drive social media marketing via inbuilt functionality within this Opencart theme. the major categories for your visitors. A custom block is also available if you need it. 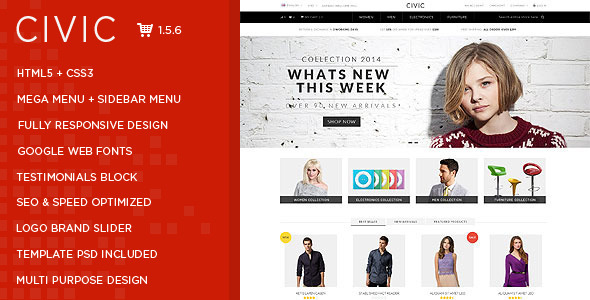 A beautiful and easy to browse list and grid views are pre-designed in this Opencart theme. This powerful functionality enables you to show multiple product images with an easy to use slider. and texture of your products. A simple up and down arrow based quantity changer for your product detail pages. on the cart icon on the header. Font Awesome gives you scalable vector icons that can instantly be costomized size, color, drop shadow, and anything that can be done with the power of CSS. customization options for everything in the theme.